Download – Fact Sheet – How does your industry measure up? Trends in linear filing in the Finance, Legal and Insurance sectors. As workplaces have evolved into increasingly agile environments, storage and records provision have adapted to new working practices and the latest digital technology. Document storage and data protection have become even more of a priority for key industries, which has resulted in there being a significant reduction in physical filing. The way financial services, legal and insurance companies store information has changed considerably over the past five years, and employees are choosing to manage and store their data digitally rather than in a hard copy format. Yet what are the ramifications of this digital shift? 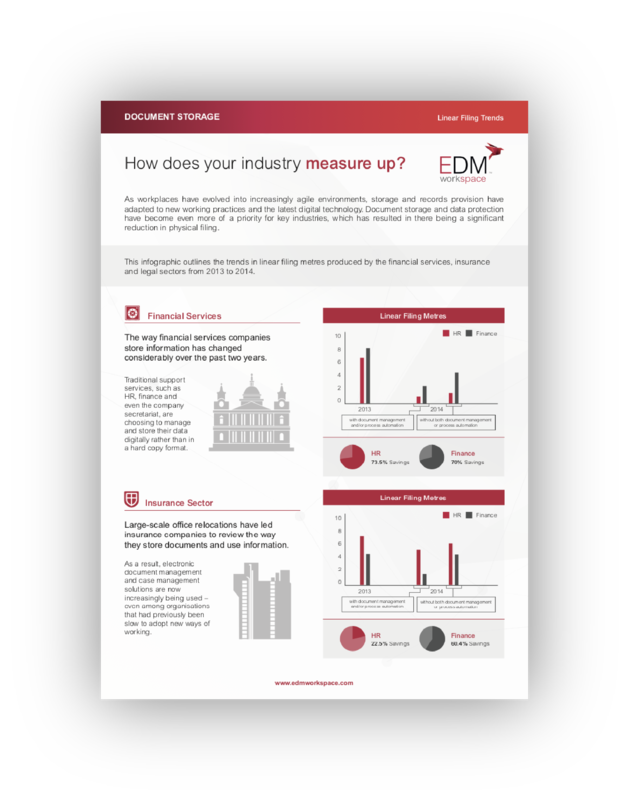 Download our benchmark report, which analyses the trends from past five years in linear filing, and see where your organisation measures up.